Who should you include in your selections this Saturday? It’s mostly a wide Caulfield Quaddie for Trevor this Saturday, with the confidence coming in a skinny second leg with just 2 selections included. Krone (3) ran on strongly first-up and looks well suited out to 1400 metres. Mystic Journey (4) had no luck last start at Moonee Valley when held up at a vital stage. Hit the line hard and a likely improver. Spanish Whisper (5) over raced badly at its first Australian run and can run well here with better manner. Assertive Play (7) is another horse that had no luck last start at Moonee Valley, and arguably should’ve won. Will be hitting the line hard here. Anjana (8) was never likely first-up when it had to go back from a wide barrier at the Valley. Can bounce back here, gets stable’s preferred jockey on. Reginae (9) has won its past two in Sydney. Form looks solid for this. Golden Halo (14) had no luck two starts ago over a shorter trip. Good solid win last start in Adelaide, and looks a likely improver. Folkswood (1) campaigned here last spring, winning the Cranbourne Cup first-up then running third in the Cox Plate, before working too hard in the Mackinnon. Won first-up in Dubai. First-up here and should be fit. Night’s Watch (10) is coming along nicely. Hit the line hard last start over slightly shorter trip and looks ready for 2000 metres. Jungle Cat (1) is an overseas galloper that has won its past three in Dubai. Did win beating Australian horses Faatinah and Illustrious Lad easily. Home Of The Brave (2) ran well first-up down the straight and then powered through the heavy at Rosehill, producing a good figure. Can hold rating here. Osborne Bulls (4) ran well first-up, has missed a run in between but did have a jump-out last week. Looks ideally suited out to 1400 metres. Both runs by Land Of Plenty (8) have been terrific. Looks ready for 1400 metres and this looks a target race. Mr Sneaky (12) was ridden a bit too close last start over 1200 metres. Is better ridden cold and will be getting home hard. Oregon’s Day (13) has run terrifically both runs this prep and will also be getting home hard. Peaceful State (15) had no luck first-up over a shorter trip. Has a good record this distance and good record second-up, and will be powering late. Quality mare Global Glamour (1) resumes here and is well graded at set weights and penalties. Elicazoom (2) put in a huge performance first-up for the new trainer, running terrific sectionals. Doesn’t have to rate to that to still be competitive here. Life On The Wire (4) ran honestly first-up in July. Given a break since and has winning ways. Will be on the pace. I Am Excited (7) chased home Elicazoom last start and was no match for her, but can improve here at second run this track. Winter Bride (10) is a Queensland mare that’s won three of her past four. Hard to get a definitive line, but happy to include. Leather’N’Lace (13) had no luck first-up when held up in the straight, Has won this track and distance impressively in the past. Stable preferred jockey goes on. Platinum Angel (14) improved each run last prep. Going out in good form and has claims here if fit enough. Happy to include. 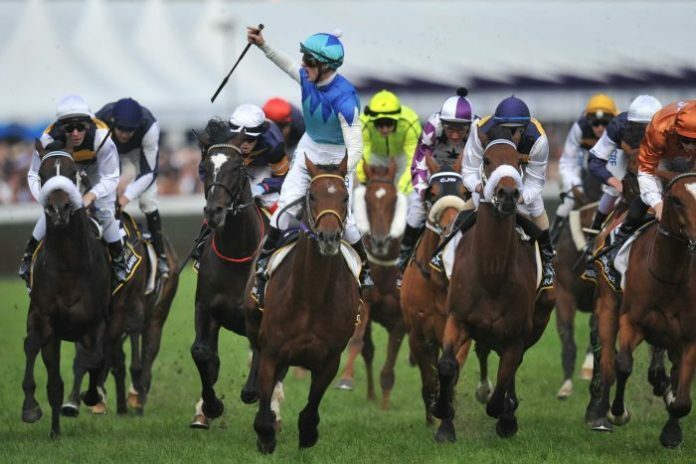 Trevor Lawson has been a pro-punter for 20+ years and currently heads up our highly profitable Melbourne Ratings membership. With over $30,000 profit in just over 2 years, there is plenty of reason to get on board. You can start punting like a professional this Saturday for just $39!